Developers hope that their works are enjoyed for years to come and its likely a real joy to see a video game last years on end with it being supported well into new platform generations. However, there are at times video game titles that were enjoyed shortly before being taken down by the IP owners. At times these take downs are due to behind the scenes workings or just simply due to a community falling out from the video game in general. Sometimes we don’t have any information at all as to why the decision was made to kill off a game from being available for players to purchase it to enjoy. Here are a selection of ten video game titles that were killed off and unavailable for players interested in trying the game out today. It was during Gamescom 2014 that P.T. was announced. This was a demo being released on the PlayStation Network for PlayStation 4 that gamers could download. Everything regarding the demo was mysterious and the demo itself was made to take players a long time to uncover all of the puzzle solutions before it would be completed. With that challenge in place players worldwide took to the game and progressed through this survival horror title in order to find out more. After so long gamers started to find out all the cryptic clues and completed the demo for it to play a cutscene which featured Norman Reedus and the official title, “Silent Hills” a brand new installment to the love beloved survival horror franchise. Gamers were instantly interested in the game as it was being headed by the world-famed developer, Hideo Kojima, who previously spoke of his interest in working on a Silent Hill title. At the time he was working for Konami, owners of the IP and for fans of the franchise, this was looking more like a very promising installment to a franchise that has become a bit stale over the past few years. Then out of nowhere Hideo Kojima and Konami split ways after years of working together. We may never know just why the developer made the split but with Kojima’s departure, the development studio decided to completely scrap Silent Hills. Unfortunately, it doesn’t look like anything else is in the work for the franchise as Konami has yet to make any announcements regarding another studio or an in-house team working on a Silent Hill title. Another unfortunate shred of news that came out from the split is that Konami decided to take down P.T. which means if you haven’t already downloaded the demo, you are no longer able to enjoy Hideo Kojima’s creation and last works with Konami. There was even a hoax that went out that Konami was sending out a patch to prevent gamers who have already downloaded the P.T. demo from launching the game. There are a number of fighting video games featuring Marvel characters fighting against Capcom’s cast of fighters. As a result, you can find a wide range of video game titles where the two franchises mix and battle for players enjoyment, but there’s one particular game that you may have a hard time obtaining on last generation consoles. Marvel vs. Capcom 2: New Age of Heroes is a video game that came out in 2000 in the arcades along with platforms such as the Dreamcast where development studio Capcom was aiming to give newcomers a means to enjoy the fighting franchise without needing too much prior knowledge on how to actually pull off some impressive moves. While gamers can play as classic Marvel and Capcom characters, Capcom made some bigger tweaks to the overall gameplay setup in comparison to previous installments. Players would be able to use a three-on-three gameplay matches, a revamped character assist mechanic and as mentioned earlier, a simplified system in regards to the control scheme. The game wasn’t a bust either as critics found it to be a rather fun fighting title which had enough success to continue porting the game into more current platforms at the time. For instance, Capcom was able to bring the game on the PlayStation Network, Xbox Live Arcade, and the Apple App Store. There was even a push to bring it on Nintendo’s WiiWare but due to size limits, things didn’t quite pan out for Wii owners. It was in December of 2013 that Capcom made the announcement that the game was being removed from all of the digital outlets noted. There wasn’t any real reason released as to why Capcom decided to take down the video games from being purchased again, but there was speculation online that it was due to a contract license coming to an end with Capcom and Marvel. While you can’t purchase Marvel vs. Capcom 2: New Age of Heroes on the PlayStation 3, Xbox Live Arcade, and Apple App Store, Capcom is still making new video game titles featuring their line of characters fighting against earth’s mightiest Marvel heroes on today’s platforms. This could be a good reason as to why you should purchase physical copies of video games when possible. The Legend of Zelda franchise almost always does well in the market and over the years we’ve seen plenty of video game titles from the series. One of the video games that released on the Nintendo GameCube that may be overlooked thanks to Wind Waker and Twilight Princess is The Legend of Zelda: Four Swords Adventures. The game came out back in 2004 which put up to four players within the campaign though interestingly enough, players could connect a Game Boy Advance handheld to the Nintendo GameCube in order to control their specific character. Overall players are on a new quest with Link who must restore order in Hyrule from the terror of Shadow Link, an evil clone of Link. Despite most gamers remembering the other The Legend of Zelda video games that came out for the platform, The Legend of Zelda: Four Swords received mostly positive reviews and feedback between critics and fans alike. A few years later and the game was once again brought back into the limelight from Nintendo. In celebration of The Legend of Zelda’s 25th anniversary, Nintendo decided to release a revamped edition of The Legend of Zelda: Four Swords by making an Anniversary Edition. This game was made for the Nintendo DSi and later again for the Nintendo 3DS. There were a few small changes made for this edition such as dropping four Link’s for just two. Players could switch between the two Link’s when necessary and additionally the game dropped ties with A Link to the Past, which the original was shipped alongside with. Instead, gamers were given two new stages to complete. While there are other additional changes made to the game, its core mechanics and story was left intact and best of yet, this game released completely free. Gamers could download their copy when it first released for a short few days on the DSi and then once again for a few short days on the 3DS. After the time has ended for the free promotion, Nintendo locked the game back into their vault and it has yet to make another appearance. The last time we saw the Anniversary Edition available for gamers was back in January of 2014 and it doesn’t look like Nintendo has any plays on bringing it back for gamers to enjoy anytime soon. There are a ton of MMORPG and MMO video game titles available on the PC platform so we can’t fault you for knowing a specific title. However, City of Heroes was a massive MMORPG when it first released in 2004 and continued to sweep gamer’s PC system if they were not already playing World of Warcraft. This title was published under NCsoft where Paragon Studios mainly worked on the game. There are not too many details we need to share to describe the game as essentially you are a hero. Starting up the game, players craft their hero with a specific trait and attributes much like most MMORPG titles. As players progressed and gathered more experience points they can further tweak their character with other unique abilities and powers. The game was supported for years and its received plenty of healthy updates to give their community more content to chew through but eventually, it was found to be growing stale. Much like most MMORPG titles that eventually lost their community for other new video game titles, the IP owners opt to kill it off. That’s exactly what happened in 2012 when NCsoft decided to pull the plug on the servers. Here’s the real problem, from what we could gather there are no private servers. Because the server was killed off rather abruptly, fans who wanted to continue to enjoy the game privately with friends did not have enough time to prepare for the game’s demise. Now communities are working to recreate and preserve the game. There were even pleas from gamers to NCsoft for them to release the assets. So far it doesn’t look like we will be seeing City of Heroes rise up from the ashes anytime soon if ever. Toys-to-life was remotely a big market for the video game industry with kids enjoying the aspect of collecting toys that could interact with video games. There was an assortment of different video games and figures that were considered part of the toys-to-life movement, but one of those particular video games discontinued leaving gamers unable to continue on with the franchise and even finding new figures to add into their collection. We’re of course referring to Disney Infinity which had three main updates since its initial release in 2013. Much like other toys-to-life video games, players would purchase physical figurines and toys to scan into the video game, unlocking characters and worlds all of which would have their own gameplay component for players to enjoy. Throughout the years of its support, Disney Infinity featured such franchise as Pirates of the Caribbean, Cars, Toy Story, The Avengers, Star Wars, Finding Dory, and The Incredibles. After a few years, Avalanche Software was closed down in 2016 which resulted at the end of Disney Infinity. Before the game was officially killed off, Disney Interactive Studios decided to release Gold Editions for the PC platform that featured all of the previous content released but it looks like you won’t be able to get the standard editions any longer. Back in the early 1990s, The Simpsons received a popular arcade video game that most found to be enjoyable even if you were not a fan of the animated cartoon series. Known simply as The Simpsons, the video game was developed under Konami as a side-scrolling beat ‘em up title where players take control of a member of The Simpsons family. Each has their own unique attacks such as Marge who is equipped with a vacuum cleaner as they battle an assortment of enemies in order to track down Waylon Smithers after he ends up kidnapping Maggie during a robbery heist gone wrong. The popularity of the game allowed ports to be made for the Commodore 64 and the MS-DOS as well back in 1991 though the game wouldn’t be touched again until 2012. In 2012, Konami allowed Backbone Entertainment to bring the game over on the Xbox 360 and the PlayStation 3 platforms. Again, the video game retained the same mechanics and storyline but it wasn’t very long before Konami pulled the games from the digital storefronts without any word as to why. Unfortunately, there has been no word on if we will see the fan favorite beat ‘em up brought back to the latest generation platforms. LawBreakers is a relatively new title for the list which was developed by Boss Key Productions. The video game studio was known mostly for Cliff Bleszinski a former developer from Epic Games which brought out the Gears of War franchise. When Cliff left Epic Games he decided to build up his own studio, Boss Key Productions with this being their first video game. Essentially, the game pits two teams against each other with classes with unique equipment and playstyle. There was a number of different game modes available for players to go through and at the start of the public unveiling, LawBreakers was set to be a free to play video game. Boss Key Productions shortly later changed their minds by making LawBreakers a pay-to-play video game which eventually released to receive mostly positive reviews. While the reviews may have been mostly positive, Boss Key Productions failed to keep an audience on their video game with most of the community parting ways from the game. As a result, the development studio was unable to keep the servers running forcing the game to be killed after a year of being released. LawBreakers was then removed online leading Boss Key Productions to start their net project called Radical Heights though the game did not make it past early access and ultimately caused the closure of Boss Key Productions. Too Human was a video game developed under Silicon Knights in 2008 for the Xbox 360 and it was previously noted to be stuck in development hell after it was originally set to release on the PlayStation back in 1999. Down the road, Microsoft was able to secure the rights to the IP where they pushed it out into the market for their Xbox 360 video game console. In fact, this game was the first title set to be a trilogy that would likely go into the Xbox One platform. Overall, the narrative journey was based around Norse mythology as players were forced to battle against Loki’s army. Unfortunately, that trilogy will not come to fruition as a legal battle between development studio Silicon Knights and Epic Games took place. Essentially the legal battles were over Unreal Engine 3 which Silicon Knights attempted to sue Epic Games claiming they did not provide necessary support or a suitable engine. Epic Games was able to prove that the developers were breaching their contract on top of copyright infringement. 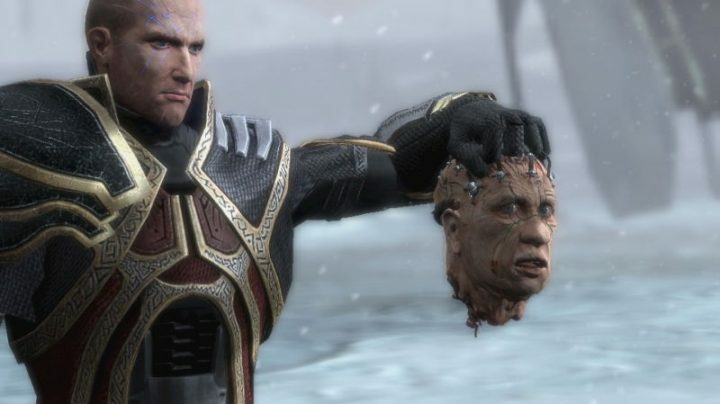 At the end of the battle, Silicon Knights were counter sued for $4.45 million where the developers were forced to recall all unsold copies of Too Human. Dragon Ball is a worldwide franchise hit that ranges from manga, anime to even video games. The latter contains a plethora of video game titles to enjoy across a wide range of platforms. Though there is one title that seemed to have been a bit more infamous for not releasing into too many markets and that’s Dragon Ball Online. Within the game, players create a character out of one of the races that must go through different time periods to prevent the game’s antagonist, Mira, from altering the past to set up the present day. At the time there was no push for new Dragon Ball material or sagas which like resulted in the game not making outside of initial markets. Regardless of the official support, fans went in and made their own versions to release for the public through the official support came to an end where the gameplay narrative was basically reworked into Dragon Ball Xenoverse. The Matrix franchise was a hit and with it came additional complimentary materials such as video games, one of which was an MMORPG. Known as The Matrix Online, Monolith Productions, and Sony Online Entertainment was given the green light to continue the story through the online video game. This title was based around after the storyline ended from the blockbuster films where players are taken out of the Matrix and can go through various quests. Much like the films, players could instantly learn new abilities and attributes as they progressed but all-in-all, the video game was made to give an active community a number of events and quests to complete. This game started out in 2005 but it didn’t last very long as Sony decided to pull the plug in 2009 as the number of active players started to dwindle down. While the game was killed off, the server shutting down was covered online with players joining together to spend their last few minutes in the Matrix before Sony flipped the switch shutting the servers and giving those connected a parting gift in the form of a memory book.